A new section has just been created on the site where the interim reports of French archaeological activities in Italy, North Africa and Adriatic coast are collected. All reports about excavations / cleanings in Pompeii and Herculaneum are now gathered. The house situated at South of the forum in Pompeii (Casa dei mosaici geometrici, VIII 2, 3-16), by S. Zanella. The first interim report about the study of the Villa of Diomedes, by H. Dessales, J. Ponce, É. Letellier, F. Marchand- Beaulieu, F. Monier, A. Péron and Y. Ubelmann. 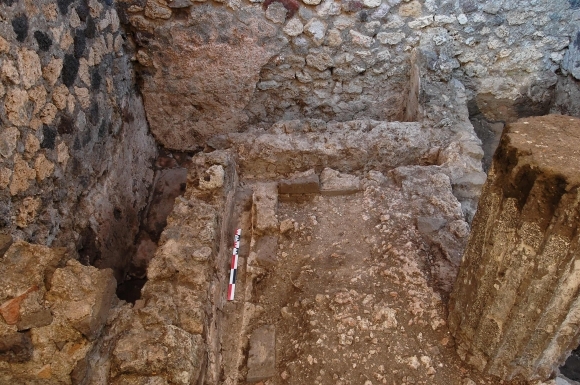 The second interim report about the excavation of a kiln in Via dei sepolcri (29), by L. Cavassa, B. Lemaire, G. Chapelin, A. Lacombe, J.-M. Piffeteau and G. Stelo. We would like to use some of the excellent material from these reports on the appropriate house pages on www.pompeiiinpictures.com so we can bring the data more up to date. Who do we need to ask?